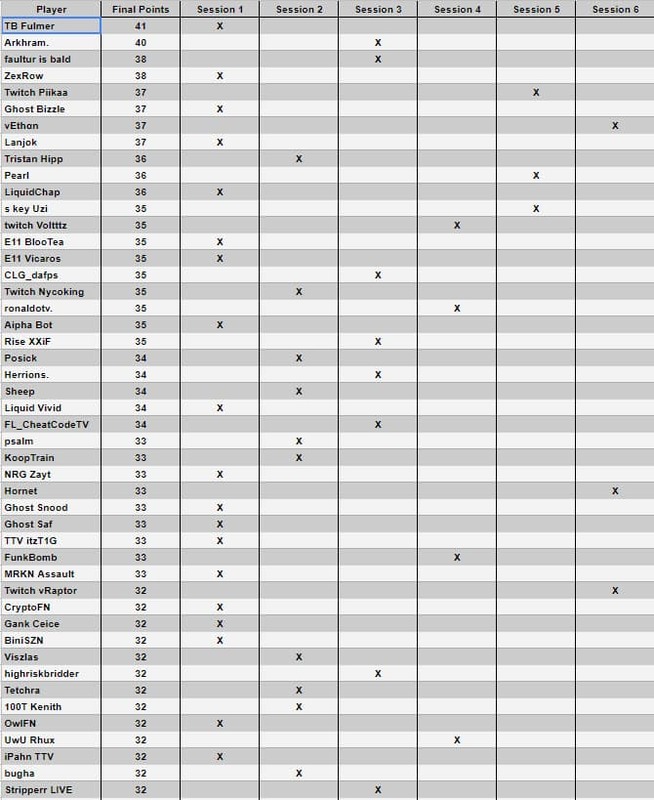 Solo players only have 5 weeks to try and qualify for the Fortnite World Cup, here is a look at the best weeks to try your luck. Millions of Fortnite players around the world will be very busy on upcoming Saturdays. Unlike other springs, this year won’t be about helping Daddy rake the leaves in the front lawn. Epic’s first ever Fortnite World Cup is set to take place, as players who have made it to the Division 7 Champion League will have 5 Saturdays, for solo event, to try and make their dream a reality by qualifying for the finals. This article will cover the solo side of the Fortnite World cup event understanding the best weeks to try and qualify. There are 5 weekends for solo players to try and qualify, April 13 – June 8. The probability of making the final 100 for the solo event is around 0.00012%. Although you have a better chance of getting struck by lighting, trying to qualify is free and there are some approach angles to take advantage of. There is one bright side to the story, some weeks will be easier then others. 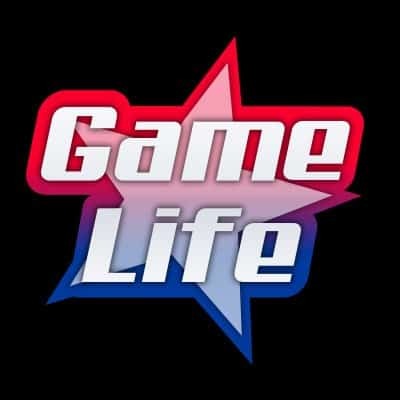 If you are thinking of taking a shot at it, then understanding how every week will play out is very important and this article will help shed some light. Before covering dates, lets look over what we already know. By now every Fortnite fan is aware that players are required to be at the Divsion 7 Champion League rank, 300 hype points, to be able to compete for the Saturday Semi-Finals. Another important date to remember is March 27, the date that Arena mode started. So you need to be in the Champion League to play Saturday, with the top 3,000 point leaders advancing to play the regional finals on Sunday. Looking deeper into the 5 weeks hold answers on what weeks will be easier then others. Let’s first break down the obvious. 1) Champion League status is child’s play for any pro or sweat that takes their Fortnite serious. It took some pros less then 48hours to hit Division 7, with some players hitting 1000 points in only a week. Without a doubt by Week1, on April 13th, all the top players and sweats will be there trying to make it to the finals. However, what about the lower tier players that have yet to hit Division 7? Although its not an easy task, anyone who plays enough, no matter of the skill will eventually unlock champion league, but it won’t be by week 1. So in fact week 1 will be extremely hard for the casual good player to qualify for the finals because competition will be top notch. The sweats and pros will be competing against each other on April 13th. 2) The best way to understand the obvious is to look back at the Winter Royale qualifying. It’s basically the same concept but backwards. 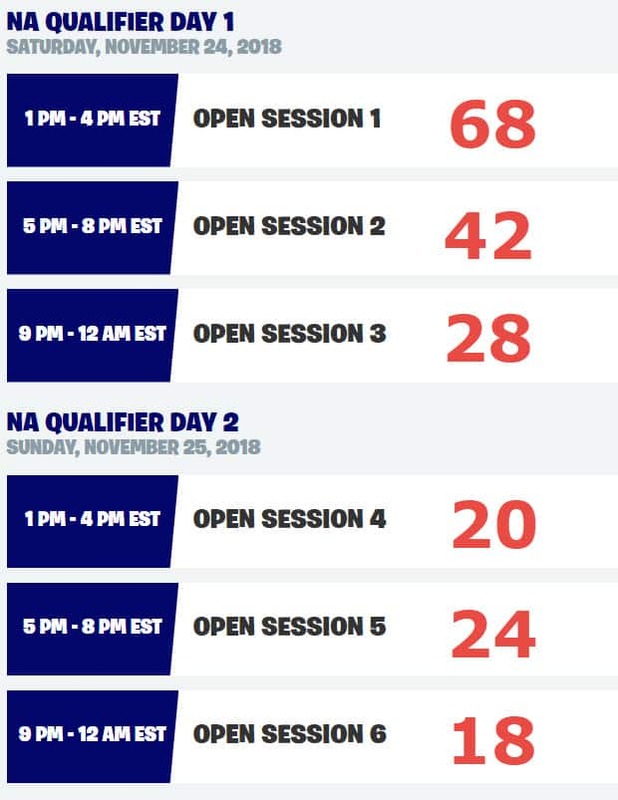 Everyone had a chance to qualify with 6 sessions spread over 2 days. In fact session 1 and 2 of the Winter Royale locked up 50% of its semi-finalists. High points were easier to achieve early on because the casual player was trying out. However, as sessions moved forward, casuals stopped trying which lead to sweats meeting sweats. The result was harder to get high point results because competition was fierce by the end. As the image above clearly shows, deeper sessions resulted in less qualifiers. How Does This Impact The Fortnite World Cup Weeks? 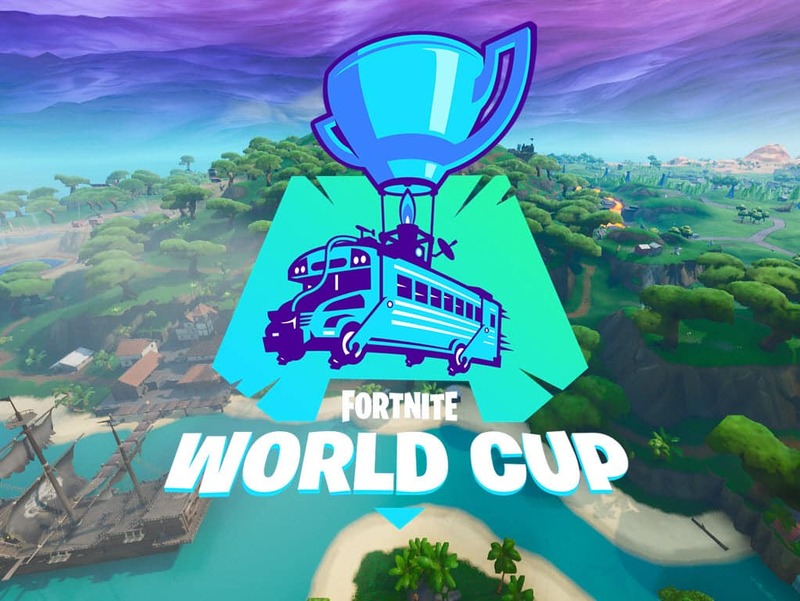 For the 5 weeks of the Fortnite World cup semi-finals it’s the opposite of the Winter Royale. Week 1 will be stacked with the best players. The casuals seen in the Winter Royale, will probably achieve Champion League by week2, April 27, and week3, May 11. By week2 and week3, the skill set will be at its lowest but peaking with the most casual players trying to qualify. The end result will be a higher probability of being matched up with level 7 bots for 3 hours. Big point games are much more likely because of the weaker balance of players matchup probability. However, by week4 and wee5, the casual players who tried to qualify in previous weeks will have quit with only the sweats and pros remaining to fight for the the final spots with little time remaining. It’s very obvious looking at the winter royale. Session 5 and 6 not only required higher points but better competition as the tryhards and sweats pushed for the final spots with the casual player having dropped out. The math is simple, expect the exact same thing to happen for Fortnite World Cup. The average player who wants to try will not be at level 7 in time for week 1. The average player wanting to try it will be at level 7 by week 2 and week 3. However, just like the winter royale, they will attempt and then stop attempting once they realize it’s too hard or a waste of time. So by week 4 and week 5 its back to less players to match up with and the best competition. Does this really make a difference in the end? Probably not as luck will also play a major factor with qualifying. The Fortnite World’s are in their first year and who know’s if they will be open for everyone the next time around. Will you be trying it out?